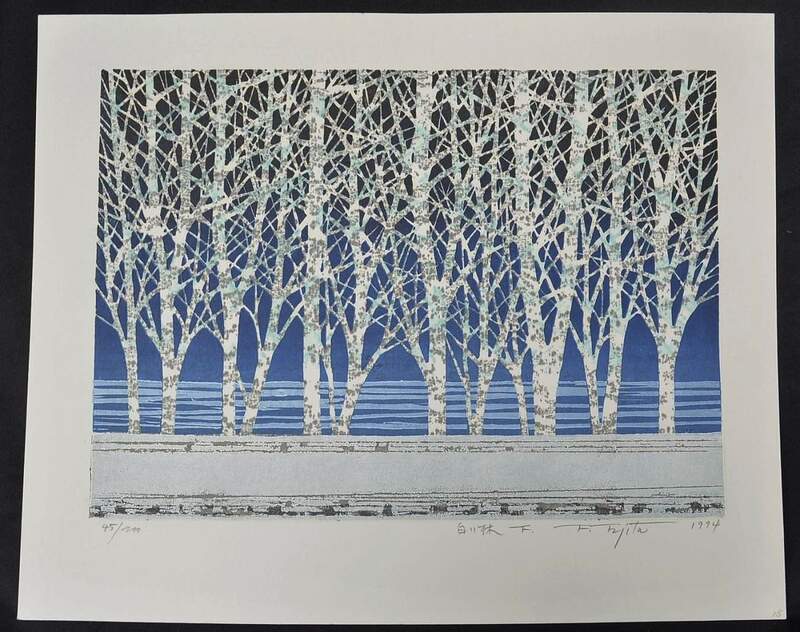 FUMIO FUJITA was born in Japan in 1933 and studied at the Musashino College of Fine Arts and began creating woodblock prints in 1963. 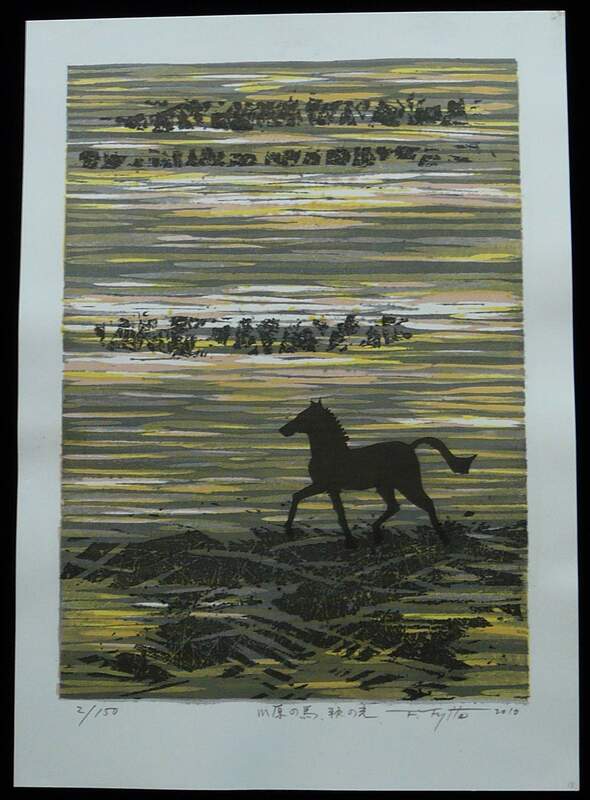 He has always tried to maintain a type of minimalist style within the landscape genre, has been very successful and is one of the few present day artists to have been contracted by a major Japanese woodblock publisher at the same time as retaining his independence and so continuing to create woodblocks prints himself. 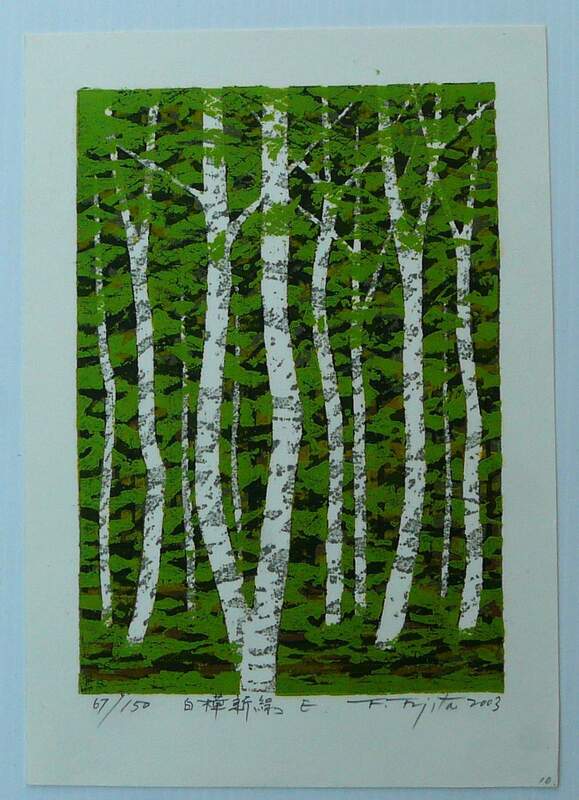 Fumio Fujita’s woodblocks are all hand signed, dated, titled and numbered limited editions sometimes more than 200. Not all are dated and ALL ARE HAND CARVED AND PRINTED BY THE ARTIST. 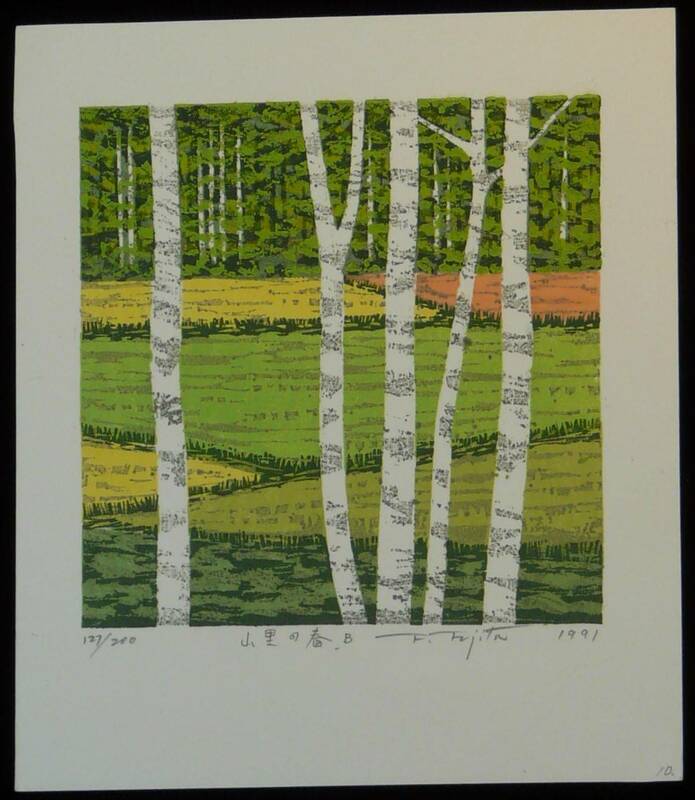 ALL OUR ORIGINAL WOODBLOCK PRINTS BY FUJITA ARE HAND SIGNED, TITLED AND NUMBERED BY THE ARTIST IN PENCIL. SOME, ESPECIALLY HIS EARLY SCENES ARE ALSO DATED, AGAIN IN PENCIL BY THE ARTIST. ALL are in AS NEW CONDITION, and are PRINTED ON WASHI, traditional Japanese paper. ONE OF VERY FEW WOODBLOCK SCENES CREATED BY Mr FUJITA IN THE LAST 15 YEARS. Shows some toning from old framing which would not be seen when re-framed – hence the LOW price. A VERY LUCKY FIND AND A BARGAIN PRICE. A VERY LUCKY FIND AND ANOTHER SUPER RARE EXAMPLE OF HIS WORK FROM THIS PERIOD.